1. Hold the international equivalent to licensed, practicing allopathic (MD) or osteopathic (DO) physicians. 2. Must be Board certified in their specialty field or the international equivalent. 3. Must have a demonstrated commitment to sports medicine (team physician, sports medicine clinician, publications in sports medicine, research in sports medicine and/or teaching sports medicine). International Members receive the same benefits as Active Members with the exception of voting and serving on the Board of Directors. 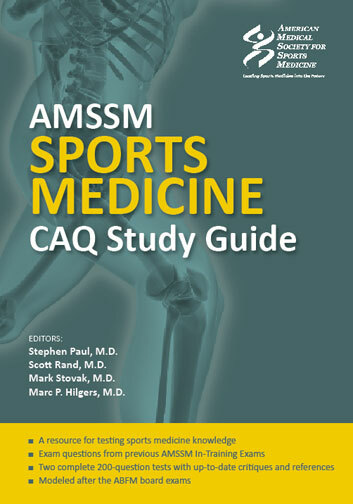 Benefits include: access to three journals - online access to the Clinical Journal of Sports Medicine; online access to the British Journal of Sports Medicine; and subscription to Sports Health: A Multidisciplinary Approach; as well as access to the members only area of the AMSSM website which includes the option to join the AMSSMNet Listserv and Forums. International Members may also qualify for Active Membership. International Membership Dues are $225 US per year ($125 reduction from what Active members pay).